John Sturgeon says he doesn't want to be the white urban hunter who undermines rural subsistence in Alaska. But the future of the so-called Katie John decision could be on the line Monday, when Sturgeon's river access lawsuit makes a rare second trip to the U.S. Supreme Court. 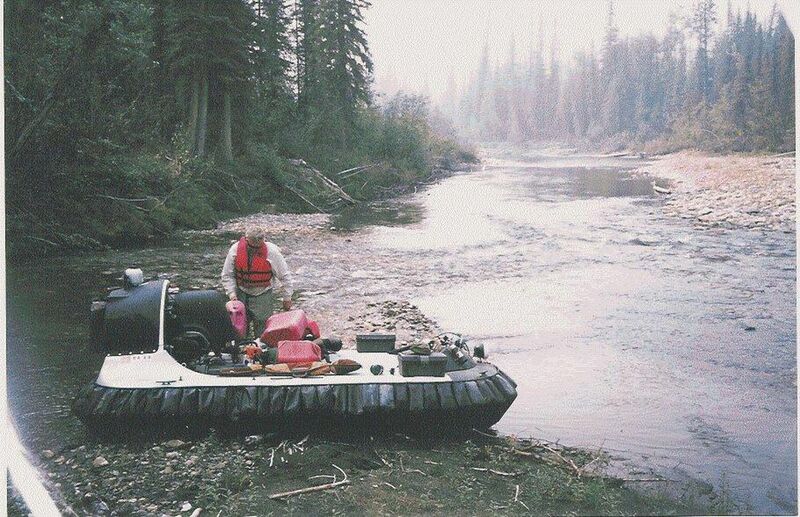 On its surface, the case centers on Sturgeon's right to use a hovercraft on moose-hunting trips through the shallows of the Nation River, near the Canada border in the Yukon-Charley Rivers National Preserve. The National Park Service claims the right to manage navigable waters inside parks and preserves. The state says management of those waters was clearly left to the state, which allows hovercrafts. But the case has grown more complicated since its first visit to the Supreme Court, in 2016. Now the lawsuit has twisted sideways into a potential test of the legal precedents, named for the late Ahtna elder and litigant Katie John, which for two decades have provided the rickety legal underpinning of federal subsistence fishing rights in Alaska. Federal rules give priority to rural subsistence families in times of shortage. Monday's oral argument has drawn wide interest, and nine friend-of-the-court briefs, for a heady mix of state's rights and federal "overreach" issues, topics of interest to the increasingly conservative Supreme Court. Sturgeon's lawyers have worked with the Walker administration to come up with a legal argument that they say can satisfy the hovercraft dispute and clarify the state's authority without undermining the Katie John precedents. The Ahtna Native corporation, in a supporting brief, warned that throwing out Katie John could plunge Alaska back into the "ugly" subsistence wars of the 1980s and 1990s. But the Supreme Court can choose to go in any direction, including one that undermines Katie John without directly addressing subsistence, leaving federal protections vulnerable to a separate challenge. "At that point, all hell is going to break loose," said Heather Kendall-Miller, who drew up a brief in the case for the Alaska Federation of Natives. She will be one of many Alaskans — including Sturgeon and his grandchildren — attending Monday's hourlong Supreme Court hearing in Washington, D.C.
Lawyers for Natives and environmentalists have serious doubts about the persuasiveness of the state's strategy for sidestepping subsistence. Meanwhile a conservative national public-interest firm, the Pacific Legal Foundation, has entered the case on Sturgeon's side and taken direct aim at the idea of "reserved water rights," used to justify both hovercraft and subsistence fishing rules, as "the source of the mischief in this case." Even the 9th Circuit U.S. Court of Appeals, which crafted the series of Katie John decisions, has said the reserved-water rights doctrine is "ill-fitted" to the task of protecting subsistence. The 9th Circuit decisions, never vetted by the Supreme Court, have left Alaska hunting and fishing management split between the federal government, with its rural priority, and the state, which requires equal access to fish and game. The rural subsistence priority remains controversial with the Alaska Outdoor Council, representing mostly non-rural hunting and fishing interests. Sturgeon, who is a vice president of the Outdoor Council, says he differs from others in the organization on the issue. It was never his intent, he says, to turn this into a subsistence case. In practical terms, federal subsistence fishing management since 1999 has had an impact mainly on the Kuskokwim River, where it has helped win tribal village cooperation in king salmon conservation efforts. The federal program also provided limited subsistence fishing for Alaska Peninsula villagers last summer when Chignik salmon runs didn't show up, said Tom Doolittle, acting regional director of the federal Office of Subsistence Management. Limited though its effects have been, the rural priority is fervently embraced in Native subsistence communities as proof that the feds have their backs in an era of expanding urban populations and fishing pressures. Fish make up 60 percent of the rural subsistence diet, according to state studies. 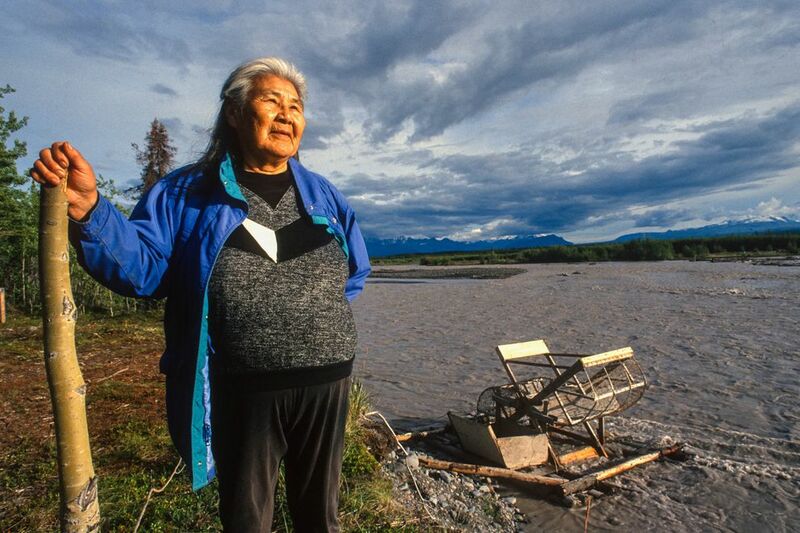 The Alaska Federation of Natives named its annual subsistence award after Katie John, the Mentasta grandmother who went to federal court in defense of her traditional salmon-fishing camp in the Copper River headwaters. Anxious about a brewing Supreme Court subsistence test, Native leaders joined the state and Sturgeon last summer to push a quick fix through Congress. The measure would have ceded management of rivers in Alaska's national parks to the state, as Sturgeon is seeking. But it would have explicitly granted the federal government authority to manage subsistence fishing as a priority. The measure went nowhere. Any such push in Congress is likely to be opposed from two directions: environmental groups don't want to see powers stripped from the park, and sportsmen's groups object to the subsistence priority. The Supreme Court's Sturgeon ruling, expected within a few months after oral argument, will shine a spotlight on the role of Chief Justice John Roberts. Earlier in his career, Roberts represented the state of Alaska in federal appeals involving tribal sovereignty and subsistence. He argued against the Katie John decision before the 9th Circuit, and lost. In 2001, Roberts was preparing a Supreme Court argument when Gov. Tony Knowles dropped the state's appeal, after making a field trip to meet John at her Copper River fish camp. At a subsistence panel during last month's AFN convention, Native corporation lawyer April Ferguson asked whether Roberts should recuse himself in the Sturgeon case. That's not likely. Roberts took part in the first Sturgeon case and even wrote the unanimous decision. That decision, including a concise history of the region and its unique land laws, allowed the Chief Justice's "love of Alaska" to shine through, one national legal correspondent wrote. The case started with a 2007 hunting trip, when Sturgeon was turned back by park employees for using a hovercraft. He sued, arguing that the riverbeds were controlled by the state and the water should be, too. Sturgeon, who turned 73 last week, is a longtime Anchorage hunter — "the real deal," according to sport hunting advocates who have helped raise money for his cause. They say his legal fees could reach $1 million by the time it's over. Sturgeon is also a veteran of the Game-of-Thrones jockeying among public and private groups seeking access to Alaska resources. He led the state Division of Forestry in the 1980s, and later headed a Native-owned logging company, Koncor, which cut forests on Afognak Island and bartered timber rights in a complex land trade to protect Kachemak Bay State Park. He sits on the board of the Resource Development Council as well as the outdoor groups. He had the state's backing, but lost his hovercraft suit in federal court and at the 9th Circuit. Judges said the park service had authority, under national regulations, to manage rivers and other non-federal lands inside Alaska's parks and refuges. These first rulings set off alarms in the Alaska Native political world, though not over subsistence. Native corporations worried the government was getting unwarranted control over some 18 million acres of Native land inside the federal conservation units. The Supreme Court overruled the 9th Circuit in March, 2016. The national park regulations were trumped by exceptions written into the Alaska National Interest Lands Conservation Act of 1980, which created the preserve. "Alaska is different," Roberts wrote. "All those Alaska-specific provisions reflect the simple truth that Alaska is often the exception, not the rule." The Supreme Court did not decide, however, if the Nation River was subject to park service control, given the exceptions made under ANILCA. It ordered the 9th Circuit to take another look. 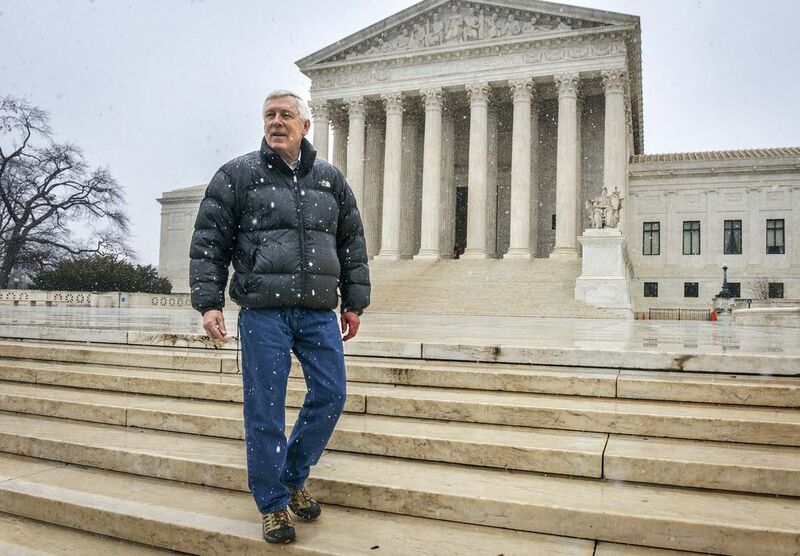 When the appeals court ruled a second time, one year ago, it again supported the park service. This time, the court cited the reserved-water doctrine that it had used, in earlier cases, to justify federal management of subsistence fishing. The appeals court thus "bootstrapped" the Katie John decisions into a case that had nothing to do with subsistence, the Ahtna corporation lamented. Ahtna, Katie John's home region, said the "fragile equilibrium" over subsistence of the past two decades was suddenly at risk. The Justice Department will argue Monday that the park service should be able to manage the area's rivers because they lie at the heart of why the Yukon-Charley Preserve was protected by Congress. That position is supported in amicus briefs filed by environmental groups and by a group of law professors who are experts in water and public land issues. The park's authority over waterways is also defended by Native rights lawyers arguing on behalf of subsistence users and the AFN. They have urged the court to weigh ANILCA's internal balance and not get swept up in broader questions of federalism and states' rights. Native-rights lawyer Lloyd Miller pilloried Sturgeon in a newspaper column this summer, saying he should have dropped his state's rights case rather than risk collateral damage to the Katie John precedents. "When is one man's boat more important than an entire way of life?" Miller wrote. That hurt, Sturgeon said last week. "I personally told my attorney, unequivocally, I did not want to upset the Katie John decision," he said. "It was the 9th Circuit that threw Katie John under the bus." Sturgeon's appeal argues that Title VIII in ANILCA, the section governing subsistence, provides explicit grounds for managing fish on rivers that pass through federal lands. No comparable section allows federal management of boats, floatplanes, and other means of transportation, he says. The Department of Law, under Gov. Bill Walker, supports this approach. Subsistence, the state argues in its brief, is "the lifeblood of cultural, spiritual, economic and physical well-being" for many Alaska Natives. Attorney general Jahna Lindemuth said the state joined to block a "power grab" by the National Park Service. "We will argue for the state to leave Katie John in place — we know how important subsistence is to Alaska," she wrote last summer. But previous governors, at least since Knowles, have taken a harder line against Katie John. Republican Sean Parnell was turned down by the Supreme Court, in 2014, attempting to make a direct challenge of the Katie John decisions. In addition, nine states with Republican governors have filed a brief in the Sturgeon case attacking the basis of the Katie John decisions.. They say in a footnote that they are neutral on the Alaska-specific subsistence question, but elsewhere argue at length that the 9th Circuit's misuse of the reserved-water-rights doctrine should be overturned because of "far-reaching" consequences for other states. If the Supreme Court rules broadly, upsetting the "fragile equilibrium" on subsistence, Alaska's next governor will play a big role in what follows. Political opposition has blocked past efforts to pass a state constitutional amendment allowing a rural subsistence priority, or a congressional fix extending federal subsistence management to fisheries. In the current campaign, Democrat Mark Begich has split from the Walker position, saying the state should not have joined the Sturgeon case because the Katie John precedents could be put at risk. Republican Mike Dunleavy has taken the opposite stance, saying he supports Sturgeon. The Dunleavy campaign did not respond this week to questions about its stand on Katie John. During a gubernatorial debate at the AFN in October, where polite applause followed every other answer, Dunleavy's offer to consider innovative ways to protect rural subsistence was met by frosty silence. 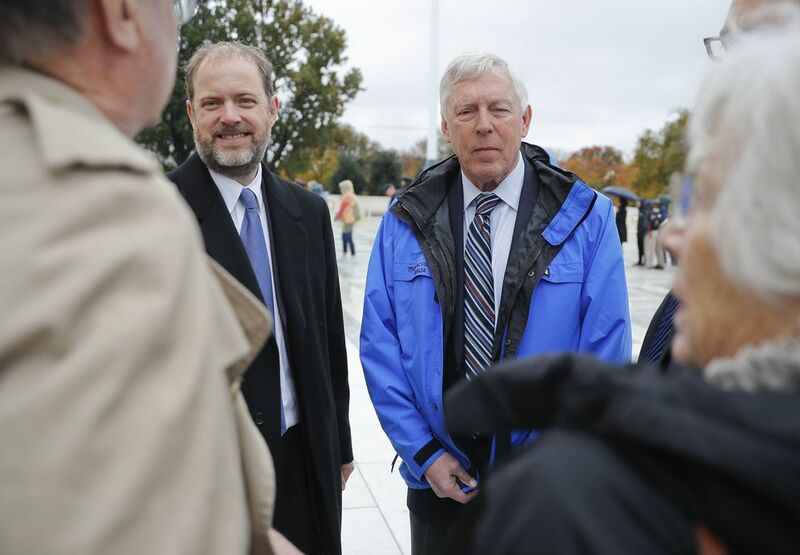 Oral argument in Sturgeon v. Frost, 10 a.m. (Eastern) Monday, Nov. 5, before the U.S. Supreme Court. Commentary: When is a boat more important than a way of life? Correction: An earlier version of this story misspelled the last name of Matthew Findley, the attorney arguing for Sturgeon on Monday. Homer writer Tom Kizzia was a longtime reporter for the Anchorage Daily News. He is author of the books "Pilgrim's Wilderness" and "The Wake of the Unseen Object." He is writing a book about McCarthy’s ghost town era.